20 cm 128p. : ill. The textual editing takes account of recent scholarship while giving the material a careful reappraisal. 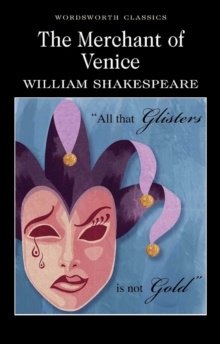 The Merchant of Venice is one of Shakespeare's most popular comedies, but it remains deeply controversial. The text may seem anti-Semitic; yet repeatedly, in performance, it has revealed a contrasting nature. Shylock, though vanquished in the law-court, often triumphs in the theatre. In his intensity he can dominatethe play, challenging abrasively its romantic and lyrical affirmations. What results is a bitter-sweet drama. Though The Merchant of Venice offers some of the traditional pleasures of romantic comedy, it also exposesthe operations of prejudice. Thus Shakespeare remains our contemporary.